Looking for that old school look for your business cards? Before CMYK became a big thing, raised printing was in vogue. Usually 1 colour, maybe 2. Our designers will create your artwork ready for raised printing. 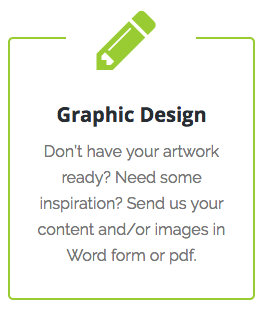 Just email your logo. *Also available in 360gsm satin artboard, 300gsm Brilliant or Cream Conqueror and 280gsm Linen Board. Raised printing was originally designed to simulate embossed engraving at a lower cost. The process is carried out with a ‘thermo’ unit attached to the end of the printing press where freshly printed inks are dusted with a clear compound. As the excess powder on the non printed areas is removed by vacuum, the sheet passes under a heater set at 480 – 700 degrees Celsius. This fuses the ink and powder compound together. The sheet is immediately moved into a cooling section where the raising is stopped. The finished product looks high end and distinctive to the eye and touch. It’s a perfect choice for business cards, swing tags, certificates, menus and invitations. Choose from the many Pantone Ink colour options available.